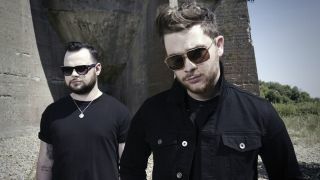 Royal Blood vocalist and bassist Mike Kerr says the duo are ready to deal with the pressure of making their second album. But for now they’re enjoying the explosive success of last year’s acclaimed self-titled debut. Kerr adds: “The pressure will come when we kind of really get into the second record – the famous difficult second record. Royal Blood are currently on the road with shows booked in Japan, Australia and North America.